If you have been here long, you will know that I love giving away little goodies that I bring me joy. I usually will pick up a few extra of things that I love. January was simple. I just gave away Starbucks, because that is one of my truest loves, and we ALLLL need a good strong cup of coffee for what seems to be the LONGEST month of the year. Two lovely ladies won $20 each in dark roasted delight, and I couldn’t have been happier about it. I announce most of my giveaways on Instagram, though my biggest one to date was within my VIP Makeup Group on Facebook. What I’m trying to say is… you may want to follow me on the various platforms, so you can be the first to know how to snag the GOODS. So, for Valentine’s Day.. I’ve actually been collecting things since December for you, babes! 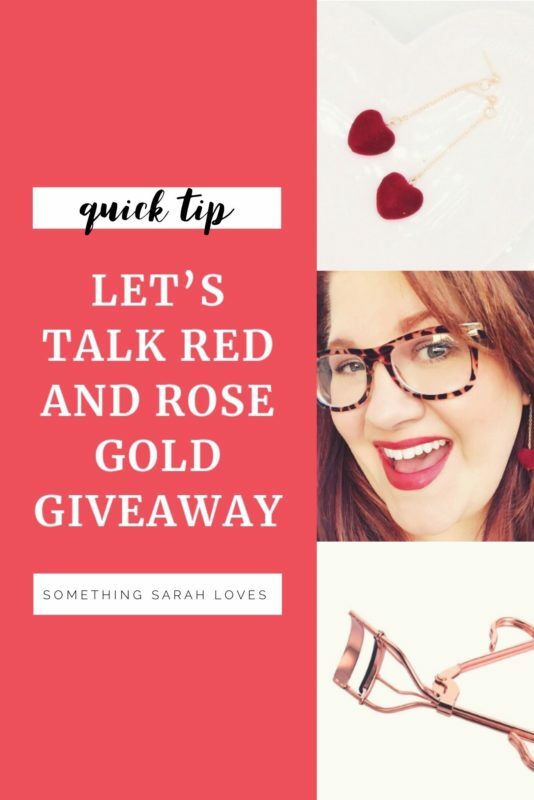 I’m calling it my Red and Rose Gold Giveaway Extravaganza. And yes, I’m extra. But so is this giveaway, so it fits! Can you even? I cannot. And I really cannot wait for someone to win. Head to my instagram to find out how to win!